1909 Argentine Mauser w/ Douglas Bbl. 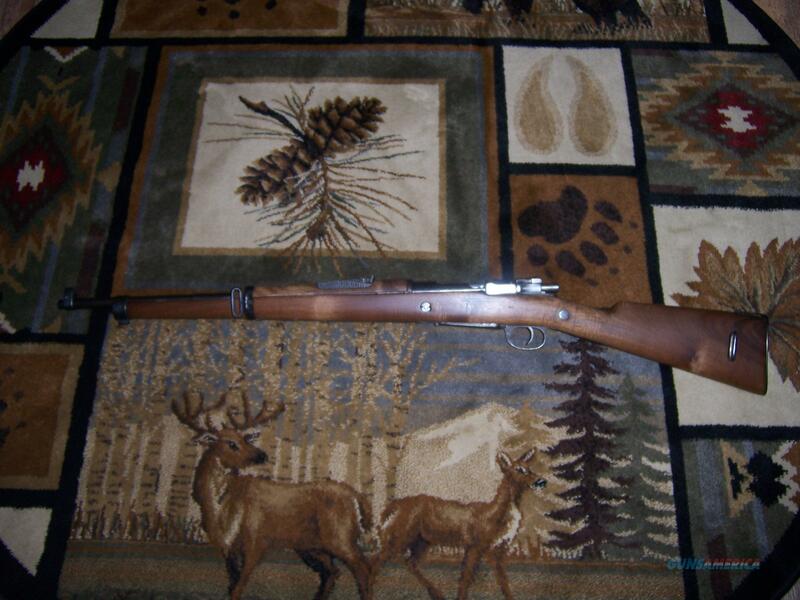 Description: Real nice rifle, stock was refinished with stain and boiled lenseed oil because it had varnish on it and looked real bad. The metal was cleaned up and cold blued where needed. The bore is cleaned and shows bright with great rifling and crown. This shoots real well and functions great. This is much better then the ones i have seen over the last couple years. It does not have the Spanish stamp, as many of them didn't. Comes with 7mm brass ammo clip and new leather sling. No cleaning rod with it though. Ask any questions and i'll get back to you. Ships free to lower 48 US States only to your FFL. pay with US Postal money order only.